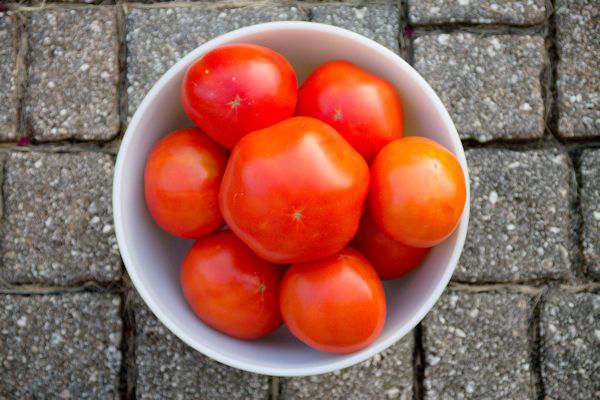 Gardening is a great way to grow healthy pest free food your family and friends can enjoy. Here are a few frugal ways to grow your garden. While most of the US is enjoying a growing season in their gardens, here in Central Florida, we are basically at the end of our season. July is the month to rest and make plans to start planting seeds in August for the fall garden. 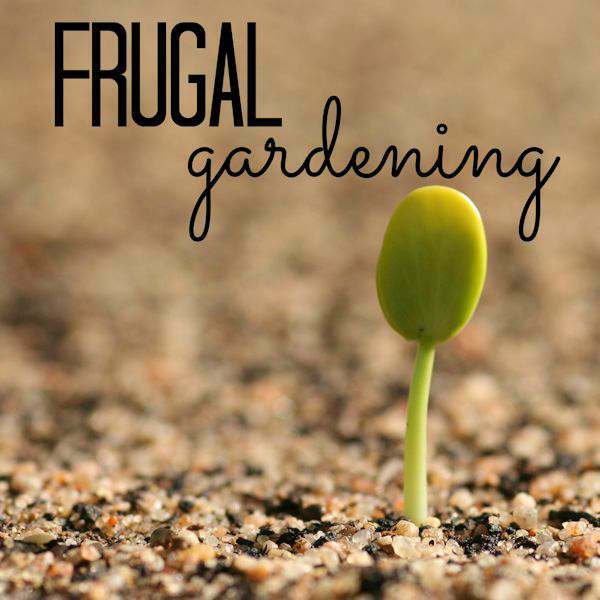 While not doing much in the garden, I would like to share a few ideas on how to be frugal in the garden. I have only one word to describe gardening in 2016 – strange and interesting. Ok, 2 words. What I mean about strange is no bugs this year. Mind you, I’m not complaining. Have I figured out secrets to “clean” gardening? If I have, I don’t know what they are. I saw one Caterpillar on my tomato plants before they started flowering and just sprayed it with Neem Oil. I checked several times later for bugs………nothing. Snails are a constant controllable pest, but they don’t do damage like some other bugs do to the garden. Could it be that I planted herbs close to my plants this year? Could it be that the plants were getting more water using the misting system we put in this year and was able to control how much water my garden was receiving? Was it because we had a really mild winter this year? Or was it simply a combination of all those factors? Should I question a pest-free season with the tastiest and prettiest tomatoes I have ever produced or not? Not my words, but hubby’s and he is the tomato expert. I harvested the last of the tomatoes this morning, so I will be pulling up the plants in the next few days. I also requested a new tomato cage system for hubby to work on. The metal ones you buy at your local hardware store just can’t handle the weight of the tomato plants. I can’t wait to show you what he has come up with! 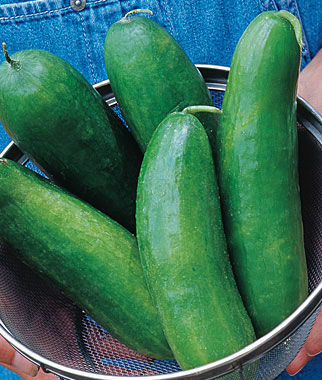 I tried a new variety of cucumber this year called Sugar Crunch Hybrid by Burpee. I was looking for a variety which would hold up to the mildew diseases we have here. The vines grew very well, held up well against the mildew will disease and produced a ton of blooms. I loved the taste of these. Really crunchy and they don’t grow huge like some cucumber varieties will do. Long and skinny. I have found a new cucumber to grow. Blackberries are still producing with gusto on my little bush. I go out almost every day and grab a handful for my yogurt or cereal in the morning. Check out the thorns!! Since I am a frugal gardener, I love receiving starters of plants from other gardeners. I don’t know what variety this blackberry bush is but it came from a very old heritage Florida plant. And it has thorns. Lots of them. I don’t have to worry about birds or squirrels stealing berries from that bush. You have to be really careful pulling off the berries. When the berries stop producing, I will grab my heavy duty gloves, to trim the bush back. There are a lot of new varieties out in the garden world which doesn’t have thorns. Just make sure you get a variety for your zone. 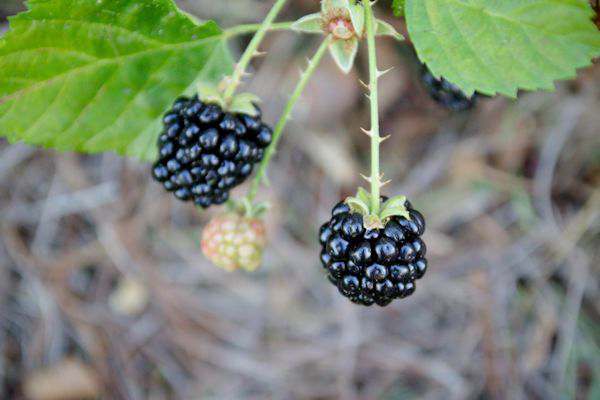 Blackberry bushes love to trail, so if you have a fenced area, let them grow on it. Not only is it a lovely bush to look at but their blooms are really pretty in the spring. Watermelon plants are really growing right now and I am finally seeing little melons producing. Its July and this is just now starting? Last year I was picking the watermelons in June, as shown in the picture above!! Another head scratchier. I do have one problem in my garden. And this is really “strange”. My green peppers aren’t producing. 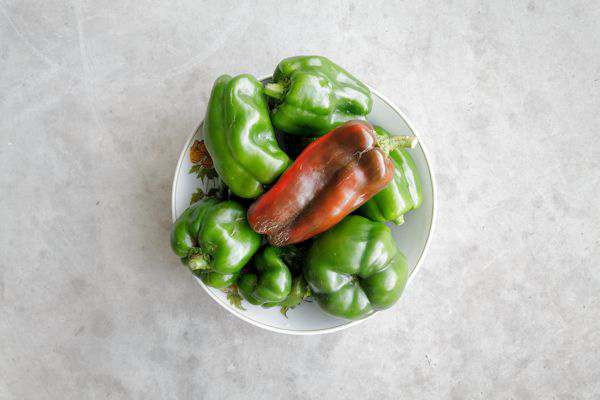 Since I’ve had my raised beds, I could always depend on green peppers. I was able to put up several bags in the freezer and enjoy Stuffed Peppers during the summer. But not this year for some reason. Was it because of the new misting system? Herbs planted close by? I produced so well in other areas and then the one area I could depend on didn’t produce. Makes me just scratch my head even more. Harvest the seeds from your favorite flower or veggie to save for next year. Seeds can be pricey. Check out your area garden tours so you can see what really grows in your area. Gardeners are always happy to share information about what grows well and you never know. They may share some seeds or plants. Put in a rain barrel near your garden. It may be an expense at first, but you will love the results with years of clean water to put on your plants. Misters also help with water control. our garden productions has been hit-or-miss this year too! we’ve had a good number of squash but also some casualties from squash vine borers. not a single tomato yet, which is frustrating! we need to get some starts from our neighbors too–good idea! My squash and zucchini has a hard problem here because of the wilt from mildew. Even the disease resistant varieties don’t produce as well. Thanks for stopping by.